Honda has announced Jorge Lorenzo will join Marc Marquez on a two-year deal in its factory MotoGP line-up. Lorenzo rode a Honda 250cc bike back in 2005, his first season in the intermediate class, and finished fifth in the standings. After graduating to MotoGP in 2008, he spent nine years at the Yamaha factory team, winning MotoGP titles in '10, '12 and '15. 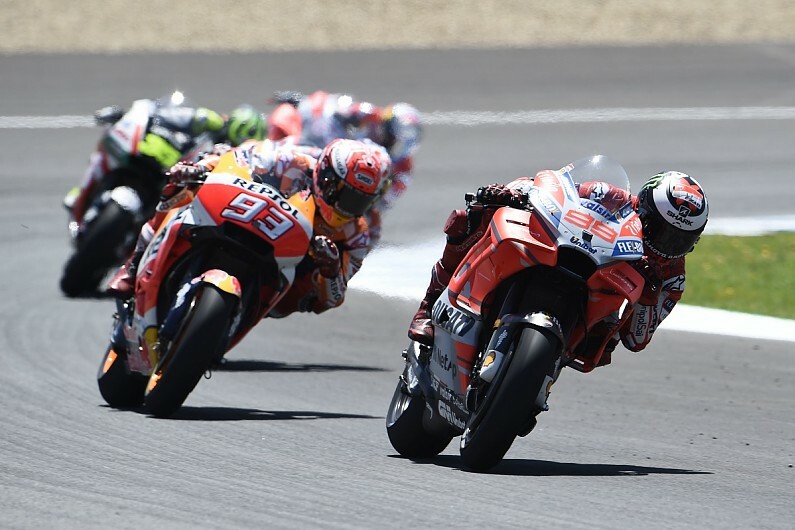 He joined Ducati last year, but results with the Italian manufacturer have proved hard to come by and it took Lorenzo until last weekend's Mugello round to claim his first win on the Desmosedici bike. The victory, which came after a particularly difficult start to his season, lifted Lorenzo to 10th in the standing on 41 points, 54 behind future team-mate and current championship leader Marquez. "From 2019, Lorenzo will become team-mate to four-time MotoGP world champion Marc Marquez: two great champions with great talent and high hopes that will make a stronger team and contribute to the development of HRC," read a short statement from Honda. Lorenzo's deal leaves just three factory seats yet to be formally filled for the 2019-20 contract cycle. Ducati will call up Pramac's Danilo Petrucci to partner Andrea Dovizioso.